Yoga helps babies, toddlers, and preschoolers explore movement milestones, gain confidence, build strength and fitness, learn a tool for self-regulation, connect with parents and caregivers, and set the foundation for healthy body attitudes and a fit lifestyle. 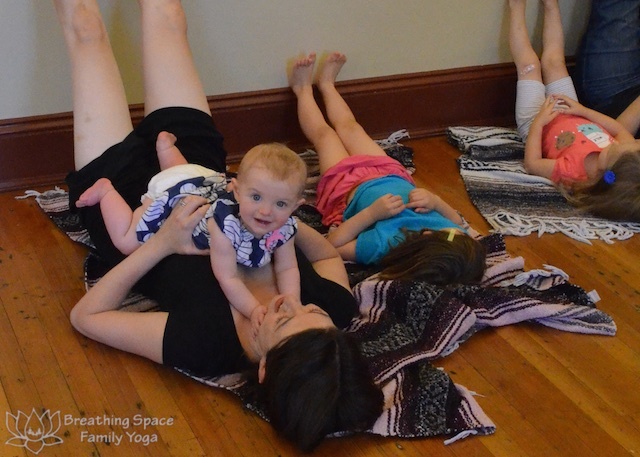 Breathing Space baby, tot, and preschool classes feature a mix age-appropriate yoga poses, songs, stories and games. 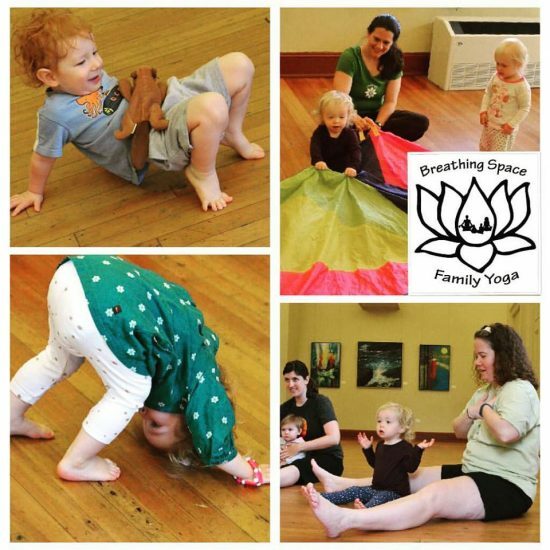 These parent-child classes are engaging and fun, encouraging each child to embrace their own unique expression of yoga poses while supporting their development and growth (Nannies, grandparents, and other caregivers welcome too). Most appropriate from about 6-weeks until baby is mobile. Moms, dads, grandparents or other caregivers welcome. No previous yoga experience necessary; be prepared/dressed for for movement. Baby Yoga & Play classes are scheduled in 4-8 week minimesters. Registration required, no drop-ins. See class attendance and makeup policies. Baby Yoga & Play for pre-crawling babies and their favorite grownup features fun yoga-inspired postures and movements as well as calming, nurturing ways to enhance bonding and improve baby’s sleep. Most of the yoga we do in Baby Yoga is for baby, but parents will get to do a little bit of moving and stretching as well as breathing and relaxation techniques. Tot Yoga (crawling-24 months) classes are engaging and fun. We encourage each child to embrace their own unique expression of yoga poses while supporting their development and growth. Parents and children playfully move together through poses, songs, and activities appropriate for crawlers and walkers. This class for walking toddlers to 4-year-old preschoolers draws on material from both Tot and Preschooler Yoga for this crossover age range. Yoga can help preschoolers (21 months-4 years) learn how to relieve frustration, improve motor skills, and increase attention span by actively following directions. Classes are offered in multi-week class series; registration is required, no drop-ins. Up to 2 adults may attend with a registered child weekly. Younger siblings welcome in Little Family Yoga: walkers older than 1 year can register at half price; no charge for non-walking infants. 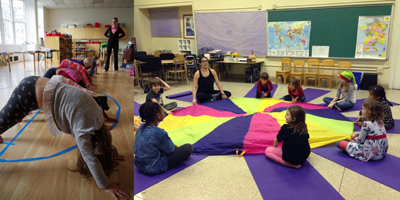 Jen has done an amazing job making yoga fun and accessible to toddlers and preschoolers. She takes the extroverts bouncing off the ceiling and the shy ones under grownups legs and manages to engage them all every class. Each class involves adventures to exciting locations, a menagerie of animal poses and a soothing “yoga rest” with bubbles. Want to teach baby and toddler or kids yoga for us or in your own community? 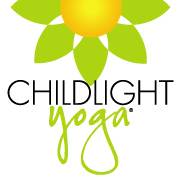 Come train with Jen at an upcoming ChildLight Yoga workshop in Washington, DC or around the country. Bring Breathing Space to your child’s school or playgroup.